These can trigger addiction after prolonged use or even coma and death when used in combination with opioids, public health officials warn. A series of recent studies showcasing the drugs’ danger have called for heightened awareness of their addictive and fatal potential. The Drug Enforcement Agency classifies benzodiazepines, called “benzos,” as a Schedule IV depressant, signifying a low potential for abuse, while opioids are considered a Schedule II drug with a high potential for abuse and addiction. However, more than 30 percent of opioid overdoses also involve benzos, the National Institute on Drug Abuse said. This combination can turn fatal when the drugs suppress a user’s breathing. A June study found that simultaneous use increases the risk of overdose more than five times. Many overdoses result from concurrent use of medications: More than 17 percent of patients using opioids are also prescribed benzos at the same time. While the rate of opioid prescription declined almost 5 percent between 2012 and 2016, the Centers for Disease Control (CDC) reported in its 2017 annual drug report, more than 13.5 million American adults use prescribed benzos, a 65 percent increase between 1996 and 2013. While temporary use can successfully treat insomnia and anxiety disorders, research has shown prolonged use of anti-anxiety medications can cause physical and psychological dependence. 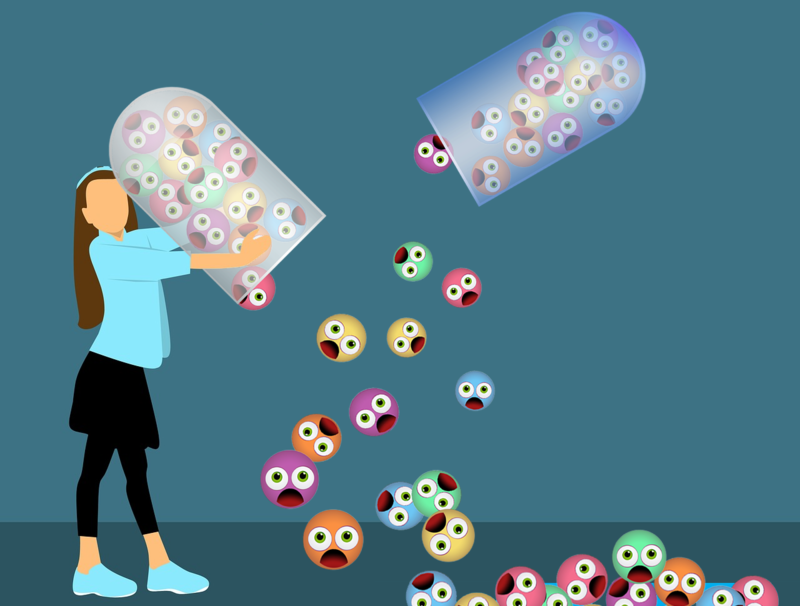 Like other addictive drugs, benzos “hijack” synaptic plasticity, or changes in nerve cell signals, in the brain to trigger the release of dopamine. Weaning patients off the drug can produce symptoms of withdrawal-like delirium, anxiety and seizures. Just as the spike in legal opioids prescriptions spurred the increase in sales and use of deadly drugs like heroin and fentanyl, overprescribing anti-anxiety medications has created a market for synthetic benzos. Sold illegally and without doctor or FDA approval, these synthetic drugs can be more than one thousand times more potent than prescription benzos. The opioid crisis has dominated the national drug conversation, and with reason: Rates of opioid-related deaths remain high, at more than 16 deaths per 100,000 people, the 2017 CDC report found. But health professionals worry America’s highly publicized opioid problem diverts attention from the growing overconsumption of benzos, which could prove just as damaging. CES (Cranial Electrotherapy) is a unique and viable “bioelectric” approach which enhances the homeostasis of the biological central nervous system – the tendency for intrinsic balance within a system. Its ethic is that of self-regulation. Its goal, wellness – a state of proper alignment – the balanced interplay of body and mind attained through personal empowerment rather than dependency. Self-regulation, autonomy, and no negative side effects are ample reasons to consider CES. CES proponents believe that increased reliance on external drugs interferes with that self-regulatory process, reducing our ability to cope. To reclaim control of our life we have to learn how to alter that chemical composition and reorient that circuitry, not through dependency but by activating, strengthening, and effectively employing our own inner resources. On a more mundane level, cost is yet another factor. The CES Ultra is but a fraction of the cost of drugs and may be used year after year. This entry was posted in CES Research on January 5, 2019 by cesadmin.